As an instructor, I see many students that are pretty sharp perform below their expected standard when it comes to taking an exam. The main culprit, in my opinion, is that many students/people don’t know that to prepare for a test, you have to actually take a test. What do I mean by taking a test? What is meant is to simulate taking a test. This will prepare you on how to approach the format of the questions and how to manage your time during the exam. 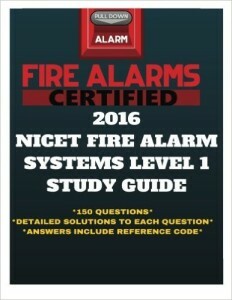 I am currently working on a book/guide on several NICET Level 1 Fire Alarms related questions. They will be formatted and presented in as close as possible way as the actual NICET exam questions.